If you would like to visit our campsite at a discounted price, you can take advantage of one of our special offers. Remember, you can also make your reservation over the phone 956437030 or by going to the reservation section on the website. Don’t miss this opportunity! Would you like to enjoy in the paradaise? Travel further up the coast through Barbate, an important fishing town – where you could stop to visit the tasty market, drive through the beautiful La Breña national park and you’ll soon reach the bohemian village of Los Canos de la Mecca. Undoubtedly one of the best beaches in Cadiz for wind & kite surfing, when the wind conditions are right you can spend hours watching the colourful sails in the bright blue skies as they make their way along the beach towards the historic Cape of Trafalgar lighthouse (Cabo de Trafalgar). It was here that in 1805 Lord Nelson defeated Napoleon’s combined French-Spanish fleet so decisively from the decks of HMS Victory. 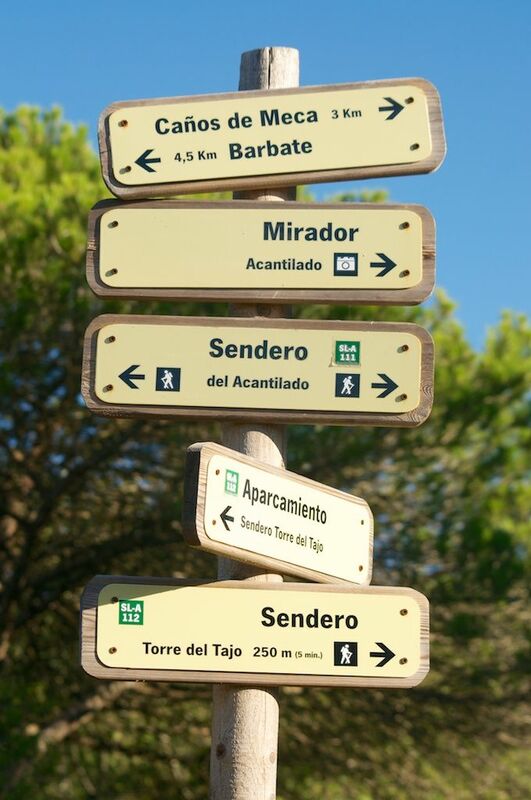 Trail to Torre del Tajo! La Breña pine grove is the largest pine wood in Cadiz. The scent of pine mixes with rosemary and lavender. Especially outstanding is the Torre del Tajo Trail ends up with a beautiful view.